Lawyers represent individuals and organizations in a court of law. They also advise on legal issues and disputes. From providing legal advice to representing clients in courts, lawyers’ duties vary but needless to say that these professionals are crucial in the settlement of disputes.The field of law is broad and lawyers have the option of specializing in a particular area of law such as business law, property law, human rights law, etc. Law as a career can be challenging yet exciting. It can be a great career choice for individuals who want to contribute to the society, help people or organizations, and obtain justice in the court of law. A bachelor degree will broaden your skill set and knowledge base. This will help you prepare for advanced level legal studies ahead. Students can also opt for online undergraduate programs. This is a standardized admission test that is designed to assess a candidate’s verbal reasoning, reading comprehension, and logical proficiency. The test is conducted by the Law School Admission Council, four times a year. Most law schools select candidates based upon their LSAT scores, making it an important requirement for admission. Please keep in mind that schools accredited by the American Bar Association (ABA) will require applicants to have taken this test. 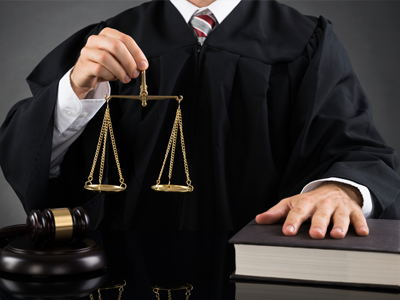 Most states require prospective lawyers to have a Juris Doctor (J.D.) degree. This is the primary law degree that will qualify an individual to take a state bar licensing examination. The program is offered by a number of law schools throughout the nation. It can take 2-3 years to earn this degree. A Juris Doctor degree is designed to help students develop legal skills and abilities for a career ahead. The program will enable students to build a strong understanding of the legal fundamental concepts and theories. Students will learn about the history of laws in the United States and its application in today’s society. Further in the program, more advanced areas are covered. Apart from theoretical learning, the program will also entail case studies and research work. Students will learn how to apply various laws to real-life legal matters, and conduct legal research for cases. The exact curriculum of the degree will depend upon the law school offering the program. There are also other law degrees offered by law schools. These include the Master of Laws (LL.M.) and the Doctor of Juridical Science (S.J.D.) degree. If you plan to practice in your state or any state, you must take the licensing examination known as the bar exam. Each state has its own requirements for taking the bar exam. Alongside having a law degree, applicants may be subject to a fitness and character review. The exam will test an applicant’s knowledge of legal principles and the state’s laws. According to the US Bureau of Labor Statistics, lawyers made a median annual income of $113,530 in 2012. The growth rate for this profession is 10% from 2012-22. Lawyers can also advance in their field by acquiring more qualifications and certifications. The career comes with challenges of its own, but reflects a positive employment outlook, making it a wise career choice.